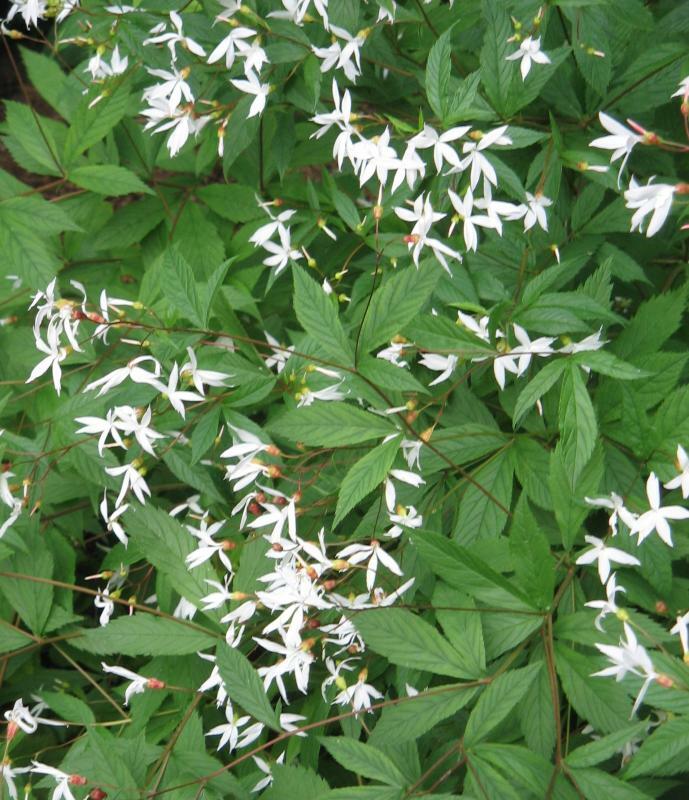 Gillenia trifoliata is a pretty perennial with reddish stems and small, 3 lobed leaves. During the spring and summer it bears open sprays of starry white flowers with red calyces, 3-4cm in width. 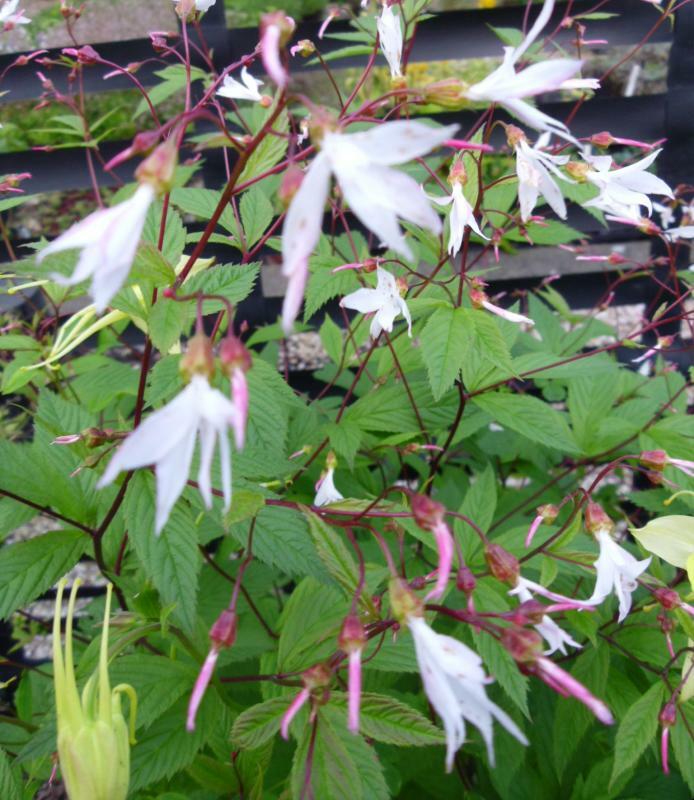 Prefers part shade in fertile, well drained soil. Height 1m, spread 0.5m. Supplied in a 9cm pot. 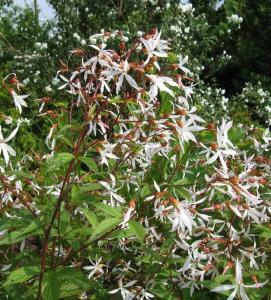 Gillenia trifoliata is one of the loveliest border perennials and yet it is rarely seen in gardens. Not only is it handsome it is hardy and very easy to grow. It is also very long-lived. Shoots begin to emerge from a central crown in late March and into April and eventually grow into a bushy, upright clump. The stems are reddish and carry trifoliate, neatly incised, mid-green leaves. 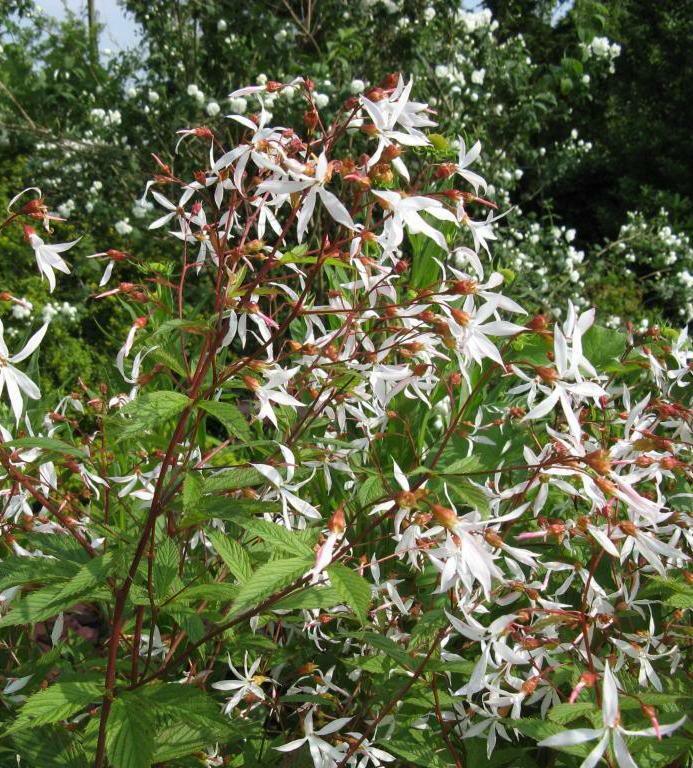 They gently branch towards the top and carry a long succession of pretty pure white flowers with red calyces each with five fluttering petals, producing en-mass a mist of bloom. In autumn the leaves gradually become a rich golden orange until the plant dies back in late autumn.